SSiW and the Big Change - brace yourselves! A weekly 30 minute conversation - with interesting people - with a TRANSCRIPT and a TRANSLATION. For many of you, this is going to be the final piece of the jigsaw - it will condense what would otherwise have been months or years of listening to Radio Cymru into a far more intensive and speedy journey towards absolute proficiency. The person we’ve been lucky enough to hook - Beca Brown - has got a HUGE breadth of experience as a journalist in Welsh and English, as a writer, and as a maker of TV programmes - and we simply couldn’t have found ANYONE better to start building what we hope is going to turn into a gigantic collection of advanced-learner-friendly content. This triggers some other changes. As most of you know, our current set-up is that Level 1 is free, and then continued access costs £3.95 a month. We’ve always been conscious that we’re not doing as much as we’d like for our advanced learners - but now we’re going to be providing a 30 minute chat/transcript/translation EVERY week, that’s changing. And so will the price. To £10 a month (plus VAT - we’re over the threshold now). If you’re currently subscribing at £3.95 a month, we’re never going to change that. We refuse, point blank. It doesn’t feel right to us. We’re not even going to add VAT to it, although many of our longest-serving supporters and closest friends will tut loudly at us about that. Beca is starting work about the middle of August, and we’re going to give her about a month before we start publishing (so that she can build up a bit of a backlog). Anyone who subscribes before the end of August will also be on the £3.95 a month rate - for ever. We’re going to do our best to reach everyone who is considering subscribing, and to let them know that jumping in before the end of August will save them almost £100 a year. Wow wow wow, super excited for this!!! Exactly the kind of learning resource I’ve been wishing for! Diolch yn fawr iawn! Maen swnio gret Aran. Diolch yn fawr iawn! Bydd y Brain Shock pobl yn cael mynediad hefyd? This sounds like a really interesting and attractive evolution of SSiW’s work. Can I ask for a few points of clarification? What form will the weekly conversation take? Will it be someone like Beca talking to someone else? (I guess it can’t be interactive). I currently have an old membership which, I think, entitles me to all languages (including Klingon when you get your act together ) and I make a monthly Growth Club contribution. What would I need to do to take advantage of your new initiative? Is it still planned to complete the Level 3 (South) Challenges in due course? That goes for me too (apart from the Klingon). Yes, to be honest, I’d only accept a course delivered by a native speaker. Where on Earth (or in the Universe) did you find that picture of me? Umm, well, you’re famous! Didn’t you know that? 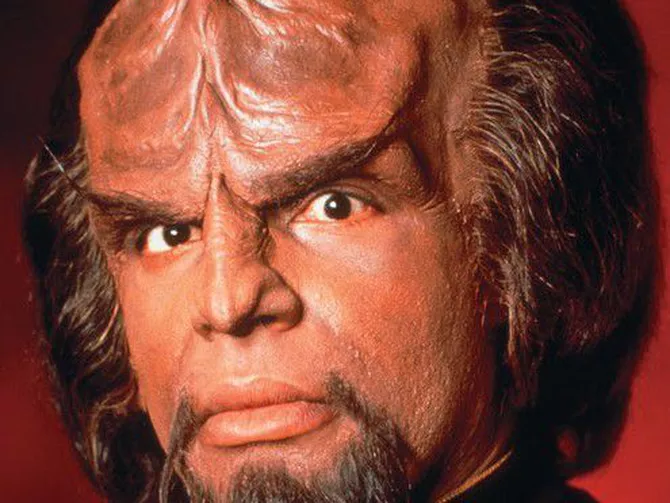 All Klingon-based jokes aside, just to make sure I understand correctly, I am hoping to ‘branch out’ and learn some other languages when I have got a really decent grasp of Welsh - I currently pay the basic rate just for Welsh, but should I up to the higher ‘all languages’ rate before the cut-off point? I have the same sort of membership I think. You used to call it something like a Polygon subscription (no doubt in honour of a dead parrot). Anyway, I also find this development very interesting, and am glad that we apparently don’t need to do anything to take advantage of it. I currently pay the basic rate just for Welsh, but should I up to the higher ‘all languages’ rate before the cut-off point? Diolch! I know it’s early days and anything could happen, but can I just ask if you have any idea which languages might take off in the future? - I ask as making this decision includes a lot of unknowns and it depends on which particular languages. No worries if it’s too early to say. Diolch eto! As a previous adventurer to the Scottish Isles to try and learn Gàidhlig, it makes me particularly happy that you mentioned that beautiful language I think I’ll probably try to up my subscription and wait and see what happens!